The last time I unboxed a product packaged this, it was a MacBook Air and after that, an iPad. It’s about the details, back story, and being engrossed and living that style – paying for it too. I’ve not see equally technical and high-quality product or kit from another brand ship like that. 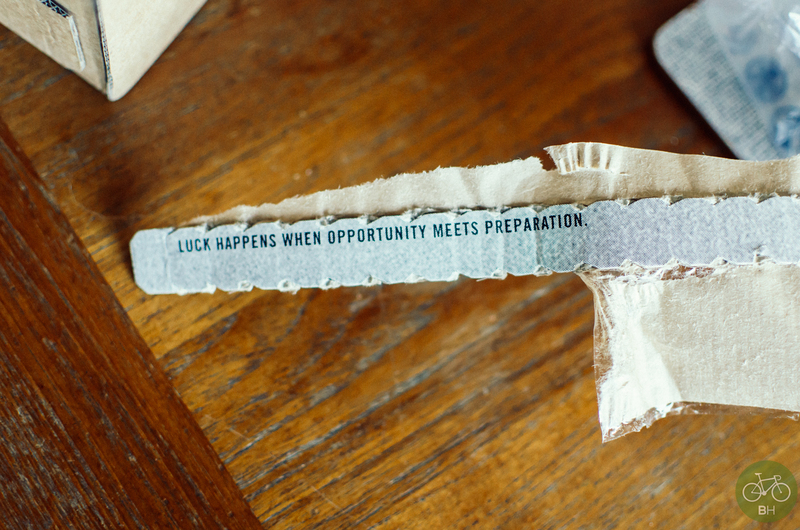 Tear strip with a motivational phrase, indicating Rapha’s prepared. The kit in the box is from their Pro Team Lightweight line, in the Data Print. Read the details on their site. When it warms up a bit more here in Seattle, I’ll wear it on a ride, appreciating the art and science. For Spring/Summer 2015 the Pro Team collection features the Data Print, a unique collaboration that creates a little art from science. Taking ride data from an individual racer’s entire grand tour, a dynamic graphic was generated and applied as a repeat pattern. This data-driven pattern charts performance levels for each stage of one rider’s grand tour, with the resulting chevrons mapping distance, elevation gain and TSS levels. Rapha Racewear Innovation: Pro Team Data Window Installation from RAPHA on Vimeo. 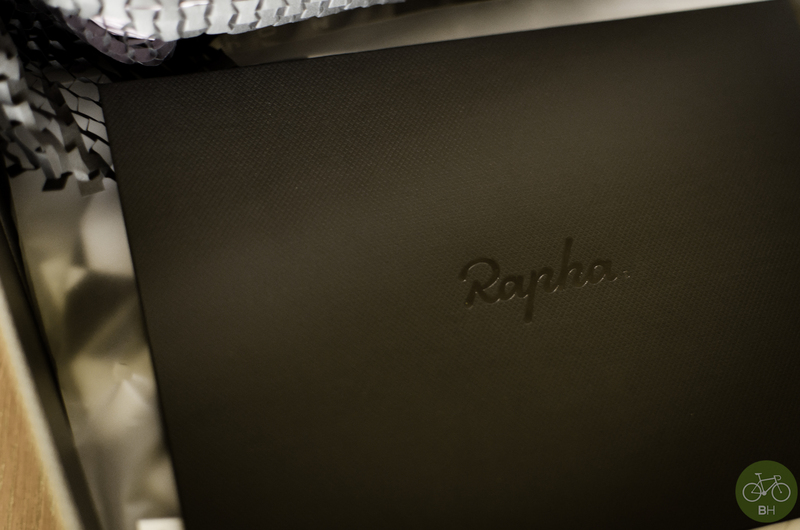 Read more about Rapha in Issue 00 of our Magazine, From Lance to Rapha, Cycling Moves to the People.